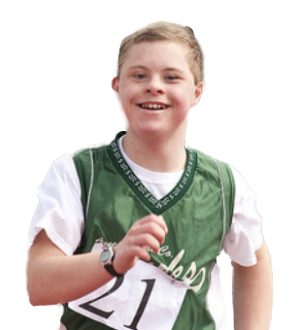 In recognition of the need to improve the quality of life of individuals with mental retardation (MR), Special Olympics Inc. (SOI) commissioned this report to examine the health needs of children and adults with MR. The purpose of this report is three-fold: 1) to identify the current health status and needs of individuals with MR, 2) to identify services gaps in supporting these needs and 3) to propose specific recommendations to address the unmet health care needs of individuals with MR. Early in the 20th century, individuals with MR were generally isolated, rather than encouraged to lead fulfilling and healthy lives (David, 1970; Rix, 1986, Campbell, 1999). The last 40 years, however, have seen dramatic changes in sentiments regarding those with MR, resulting in a turn in public policy towards an emphasis on normalization and inclusion (Rowitz, 1992; Kauffman and Hallahan, 1995; Parmenter, 1999). Other developed countries, such as Canada, the United Kingdom (U.K.), the Scandinavian countries and Australia, have seen similar movements (Malin, 1981; Rowitz, 1990; Parmenter, 1999). As a result of these changes in developed countries, much debate and research has focused on the prevention of MR, deinstitutionalization, and the education and employment of individuals with MR (Tizard, 1971; Clarke, 1991; Anderson et al., 1998). In the U.S., these themes are reflected in court cases, legislative actions and federal initiatives, including Wyatt v. Stickney (1972), Public Law 94-142 and its successor, the Individuals with Disabilities Education Act (IDEA), the Americans with Disabilities Act (1990) and reports by the President's Committee on Mental Retardation (Anderson et al., 1998). Globally, a variety of international organizations, such as the International Association of Scientific Studies on Intellectual Disability, have been developed to support and study both the prevention of MR and the public education concerning individuals with MR (Clarke, 1991). The health status and health service needs of individuals with MR, however, have received little attention over the past four decades. This lack of attention to health status is surprising, particularly in light of the tremendous gains in life expectancy which have resulted from medical and public health advances. The life expectancy of individuals in the U.S. increased 27.26 years between 1900 and 1990 (NCHS, 1999), and in 1997, the average life expectancy was 76.5 years (Anderson, 1999). Similarly, the life expectancy for individuals in Western Europe increased in the past century, resulting in a current average life expectancy of 74.0 years (Population Division, 1998). Increased longevity is evident not only in the general population, but also among individuals with MR (Rowitz, 1992; Janicki and Breitenbach, 2000). Currently, the average life expectancy of older adults with MR is 66.1 years, but younger adults with MR are expected to live as long as their peers without MR (Janicki et al., 1999). With improved assistive technology and effective public health programs that control most infectious diseases, not only are individuals with mild MR living longer but some individuals with more severe MR also have increased life expectancies (Eyman et al., 1988). As a result, these individuals have recently been faced with the same chronic diseases, including cardiovascular disease, cancer and diabetes, which confront the general adult population (Moss and Turner, 1995 in Barr et al., 1999). The lack of access to appropriate health care services also may be a relatively new problem for individuals with MR, resulting, at least in part, from the deinstitutionalization of the 1970s and 1980s. Between 1967 and 1997, as individuals with MR were mainstreamed into the community, there was a 71% reduction in the number of individuals in state MR/developmental disability facilities (Anderson et al., 1998). Trends of declining populations in MR facilities also are evident in other developed countries, such as Great Britain, where there was a 36% reduction in the number of individuals in long-stay hospitals between 1980 and 1990 (Hart, 1998). As a result of deinstitutionalization, all but the most severely disabled individuals with MR are expected to function in the community environment. Many of these individuals can and do achieve levels of functioning that were not previously thought possible (President's Committee on Mental Retardation, 1999). Not all, however, have their health care needs adequately addressed in the community, due to a limited availability of community resources and a lack of access to both knowledgeable care providers and a continuity of care (Savino et al., 1973; Saenger et al., 1979; Newacheck et al., 2000). In addition, the recent increase in managed care, and its emphasis on cost-containment, may exaggerate the impact that poor access to quality medical care has on this population (Kastner, 1991; Department of Health, 1995 in Jones and Kerr, 1997, President's Committee on Mental Retardation, 1999). As a result, unmet health care needs may be an unintended consequence of deinstitutionalization. Although controversy remains regarding the quality of care received in institutions (Landesman and Butterfield, 1987; Lowe et al., 1995), individuals in residential centers were at least likely to have a usual source of care and be seen by providers experienced in the treatment of individuals with MR (Durkin, 1996). Consequently, to develop a coherent set of recommendations for the improvement of the health of individuals with MR, a thorough review of the literature on the current health status of those with MR was commissioned by SOI. In preparation for this report, several steps were taken to ensure a thorough review of academic and public policy documents. Researchers searched Medline and PsycInfo for peer-reviewed articles on the physical, mental, dental and ocular health of people with MR, as well as the availability and accessibility of health care services for these individuals. Many of these studies utilized administrative data accessed from service delivery databases. In addition, publications and reports were obtained from national and international organizations focusing on MR, including the American Association for Mental Retardation (AAMR), The Arc of the United States, and the International Association for the Scientific Study of the Intellectual Disabilities (IASSID). Based on a search of GPO Access and the Internet, government documents that relate to the health and health service use of individuals with MR also were obtained. Further, individuals from several federal agencies (including the Centers for Disease Control and Prevention, the National Council on Disability, the President's Committee on Mental Retardation, the U.S. Bureau of Census and the U.S. Department of Health and Human Services) were contacted and interviewed. Although numerous articles exist regarding the health status and needs of individuals with MR, not all are scientificially rigorous or pertinent to this manuscript. Therefore, while approximately 1,100 articles were considered, only 548 were admitted into this review. Individuals from academic institutions and those involved in programs for individuals with MR through SOI, including Drs. Paul Berman, Sandra Block, Steve Corbin, Matthew Janicki, Steven P. Perlman, and H. Barry Waldman, also provided additional information. National U.S. datasets, including the National Health Interview Survey (NHIS), the National Health Expenditure Survey and the Survey of Income and Program Participation, also were reviewed to determine the availability of data related to individuals with MR. Following a review of the definition and prevalence of MR, this report examines the physical, ocular, mental and dental health needs of individuals with MR. Next, the health care services available and accessible to this population are discussed. The report concludes with a list of recommendations, proposed to improve the health of individuals with MR.